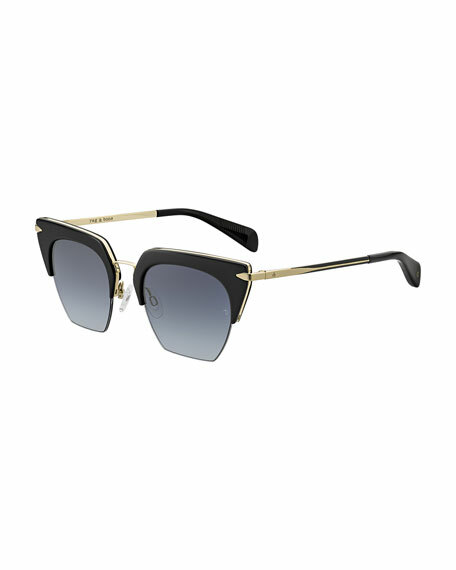 Rag & Bone semi-rimless cat-eye sunglasses. Metal frames with acetate trim at peaked temples and arms. Mirrored lenses; logo script at left. Logo detail at temples; capped earpieces.